Black, Taupe & Brown Suede. Minnetonka moccasin, soft, supple suede with suede lace and El Paso woven fabric top front. 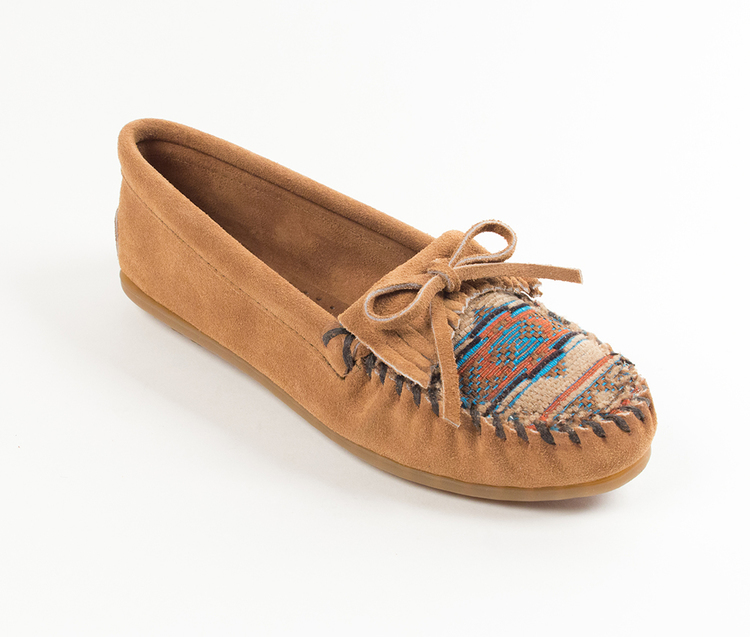 The moccasin has a fully padded insole and lightweight sporty rubber sole.